Friends of Campus School will hold an open house will be held on Tuesday, April 16 from 4-6 p.m. at 2187 Oak Hill Dr. in Murfreesboro to celebrate the Homer Pittard Campus School building’s 90th anniversary and honor Dr. Charles Goodman’s family. The Domestic Violence & Sexual Assault Center’s 15th Tip Your Waiter luncheon will be held Wednesday, April 17 from noon-1 p.m. at Stones River Country Club, 1830 NW Broad St. in Murfreesboro. Entertainment will be provided by The Cruizin Keys dueling pianos. Tickets may be purchased online at Eventbrite. For information, or to buy a table, contact the center at (615) 896-7377 or email reception@dvpshelter.org. Project Alpha one-day conference and parenting workshop sponsored by the Omicron Sigma Lambda Chapter of Alpha Phi Alpha Fraternity, Inc. along with the Rutherford County Health Department, the March of Dimes, and the First of All Foundation, will be held Saturday, April 20 from 8:30-2:30 p.m. at Patterson Park Community Center, 521 Mercury Blvd. in Murfreesboro. The Project Alpha workshop is free and open to teen males between the ages of 12 and 18. Registration and parental consent is required. For information, go to www.murfreesboroalphas.org or email porjectalphaosl@gmail.com. Special Kids Golf Classic will be held Thursday, April 25, and Friday, April 26 at Indian Hills Golf Course in Murfreesboro. Participants will play in a four-person scramble. Funds raised support pediatric therapy and nursing services for children with special needs at Special Kids Therapy & Nursing Center. Registration is $600 per team of four or $150 per individual. For information, go to specialkidstn.com/golfclassic. Fairway to Hope Golf Tournament to benefit Doors of Hope will be held Friday, April 26 at 1 p.m. at Champions Run Golf Course, 14262 Mt. Pleasant Rd. in Rockvale. Registration fee is $125 per golfer or $400 for a foursome. Hole sponsorships are also available. For information contact Emily Johnston at ejohnston@opendoorsofhope.org or (615) 900-0634. Hometown Heroes Walk for Children to benefit the Child Advocacy Center of Rutherford County will be held Friday, April 26 at 11:45 a.m. at Murfreesboro Civic Plaza. Registration begins at 11 a.m. The free event concludes with a celebratory reception and picnic at the Center. To register, go to www.cacrutherford.org and click the “hometown heroes” link. For information, contact Monica Watson at mwatson@cacrutherford.org. The 2019 Jazzy Blue Silent Auction and Shannon L. Martin Scholarship event hosted by Zeta Phi Beta Sorority will be held Saturday, April 27 from 6-9 p.m. at the Clarion Inn, 2227 Old Fort Pkwy. in Murfreesboro. Tickets are available on Eventbrite and are $20 for singles and $35 for couples. Proceeds will benefit graduating high school seniors of Rutherford County and Murfreesboro. For information, contact Dana Smith at (615) 963-1233. Murfreesboro Lions Club Annual Pancake Breakfast fundraiser will be held Saturday, April 27 from 7-11 a.m. at the Murfreesboro Lions Clubhouse, 407 Hickerson Dr. in Cannonsburgh Village on Pioneer Days Celebration. The famous Pancake Crew will be preparing a breakfast of pancakes with syrup, sausage patties, orange juice, milk and coffee. Contributions will be accepted at the door with a minimum of $9 for adults and $4 for children ages 6-12. Breakfast for children 5 or younger is free. All proceeds will go to the Murfreesboro Lions Sight Program which funds the purchase of glasses for elementary school age children. For tickets or information, call (615) 893-2582 or (615) 895-8282. The 2019 Mayor’s Prayer Breakfast, to be held with the National Day of Prayer, will be held Thursday, May 2 from 6:30-8:15 a.m. at the Middle Tennessee Expo Center, 1660 Middle Tennessee Blvd. in Murfreesboro. Tickets can be purchased online at http://www.greenhousemin.org or at Greenhouse Ministries. JazzFest sponsored by Main Street Murfreesboro will be held Friday, May 3 and Saturday, May 4 at the downtown square in Murfreesboro. Admission to the event is free. The schedule on Saturday starts at 1 p.m. with the MTSU Jazz Ensemble. Six other groups will perform for one hour after that. Volunteers are needed to help with ticket sales, marketplace and stage assistance. For information about the event or volunteering, contact Main Street at info@downtownmurfreesboro.com. Grief Share classes will be held through Tuesday, May 7 from 6:30-8 p.m. at Barfield Baptist Church, 1033 Barfield Church Road. Classes are conducted by people who have experienced loss and want to use that to help others. Each class will consist of a 30-minute video addressing emotions created by loss, followed by discussion and sharing. Classes are free and are Scripturally based. For information, call (615) 986-2490. Free Day at Oaklands Mansion will be held Saturday, May 11 at the mansion, 900 N. Maney Ave. in Murfreesboro. Civil War re-enactments will take place from 10 a.m.-4 p.m.
Fifth Annual VA Hospice Ride hosted by Sumner County Motorcycle Riders will held on Saturday, May 18 from 10:30 a.m.-6 p.m. in Gallatin. The 100-mile ride will raise money for the veterans at the Alvin C. York campus in Murfreesboro. For information, call Shane Singleton at (615) 598-1536 or go to the group’s Facebook page. The inaugural Top Gun Night Run 6k will be held on Friday, May 31 at 9 p.m. at Lee Victory Recreation Park in Smyrna. The 3.7-mile run will be chip-timed and USATF certified and limited to only 500 participants. All proceeds benefit the Capt. Jeff Kuss USMC Memorial. The $50 entry fee includes a T-shirt and a custom medal awarded at the finish line. For race information contact Marty Smith at 615-459-9742 ext. 2622. Art Camp with Carli at Springhouse is now enrolling for June. Art camps are Monday through Friday, 9 a.m.-2 p.m. Students get instruction in acrylics, watercolor, colored pencil, pastels, polymer clay, paper mache', pencil and tie-dye. Art and friendships are made. Camps offered will be June 17-21 for first-fourth graders, and June 24-28 for grades 5 and older at Springhouse Worship and Arts Center. Registration fee of $100 covers all supplies. Brochures with registration forms may be downloaded from carlipaints.com. Registration for Oaklands Mansion Summer Camp for Young Ladies is available. The camp will be held June 17-21. The camp is 10 a.m.-2 p.m., Monday-through Friday. Registration cost is $125 and must be received by June 10. Reservations can be made by calling Mary Beth Nevills at (615) 893-0022 or at www.oaklandsmansion.org. The Murfreesboro chapter of The Compassionate Friends will meet on the third Sunday of each month at 3 p.m. at Calvary Baptist Church, 431 De Jarnette Lane in Murfreesboro. Meetings are open to anyone who has lost a child, grandchild or sibling of any age. Meetings combine a brief program with open discussion of issues related to the grief process following the death of a child. For information call Cheryl at (615) 896-4343. Live Yes! Connect Arthritis Support Group of Murfreesboro & Greater Nashville meets the last Saturday of every month at 10 a.m. at the Senior Center, 325 St. Clair Street in Murfreesboro. Each meeting covers a different topic and is free. Meetings provide learning and empowerment for adults with any kind of arthritis and autoimmune conditions. For information, call Diana at (615) 881-4065. The National Active and Retired Federal Employees Association’s local chapter meets on the first Thursday of the month at 11 a.m. at The Villages of Murfreesboro, 2550 Willow Oak Trail in Murfreesboro. For information, go to www.narfetn0834.org. Parents of Addicted Loved Ones (PAL) meets Tuesdays at 6:30 p.m. at World Outreach Church, 1921 New Salem Rd. in Murfreesboro. PAL is a support group for parents of addicted adult children. For information go to Palgroup.org or call (812) 239-5272. 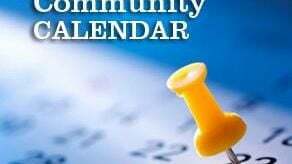 Deadline for the community calendar is Thursday prior to publication. To submit items for the calendar, e-mail them to news@murfreesboropost.com. Items for the calendar will not be taken over the phone. The Murfreesboro Post reserves the right to reject items deemed not appropriate for the calendar.